Hydrodiffused vetiver essential oil from Haiti. 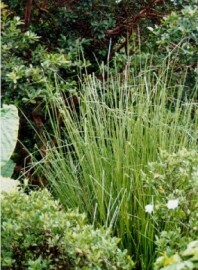 Species: Vetiveria zizaniodes Stapf., Family: Poaceae (Gramineae). Class: Sesquiterpenol. Aeracuras' vetiver essential oil is the best in the world today -- the oil distilled in Haiti has a more floral aroma. Due to the recent earthquake in Haiti, and subsequent disease, vetiver essential oil may be hard to come by for awhile. Like patchouli and sandalwood essential oils, vetiver aroma improves with age, so get it sooner rather than later. Vetiver essential oil is amber brown and thick. The aroma of vetiver oil is described as earthy, deep, sweet, woody, smoky, amber and balsam. Vetiver essential oil is used in 90% of all western perfume. Since vetiver essential oil ages well, that is, it gets better with age, some are now buying vetiver as an investment. Article: Health Benefits of Vetiver Essential Oil.